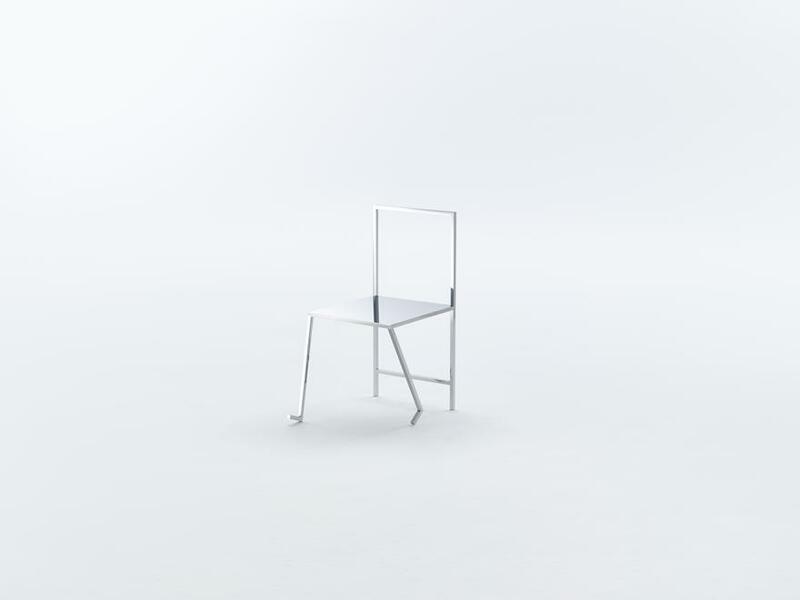 Friedman Benda and nendo, inc. are pleased to present 50 Manga Chairs. 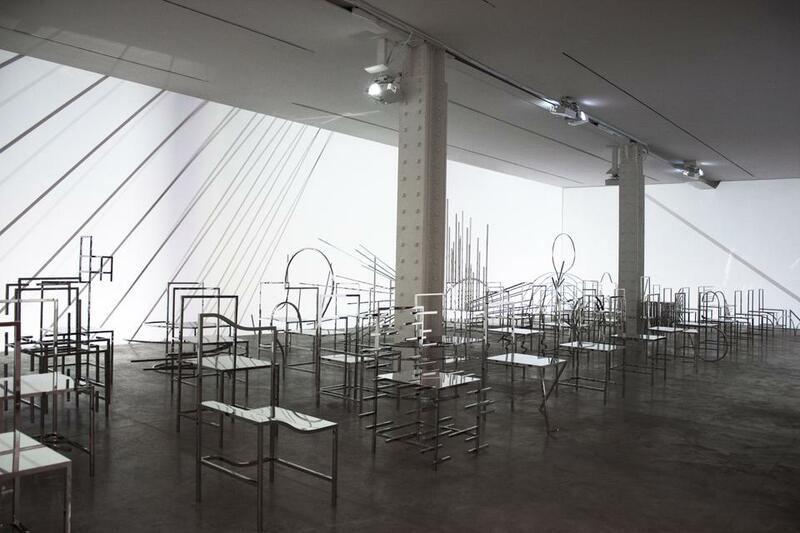 The installation of stainless steel chairs will make its American debut in a solo exhibition at the Friedman Benda gallery in New York, September 8 – October 29, 2016. 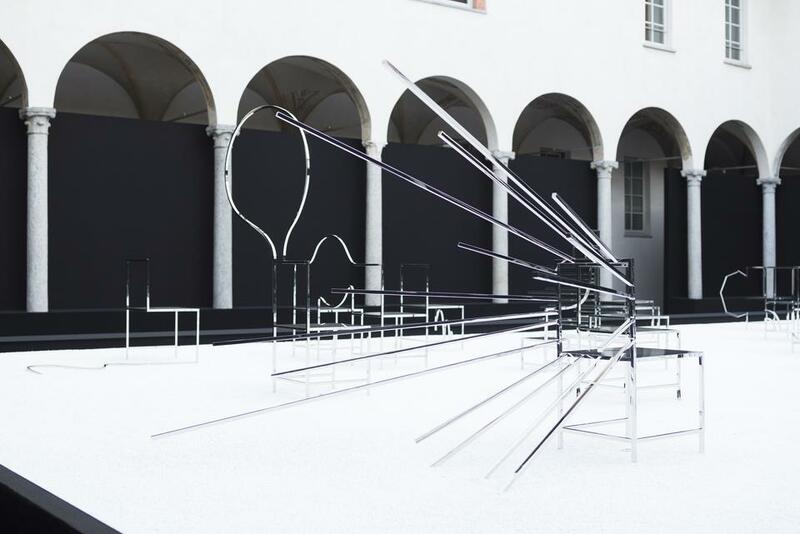 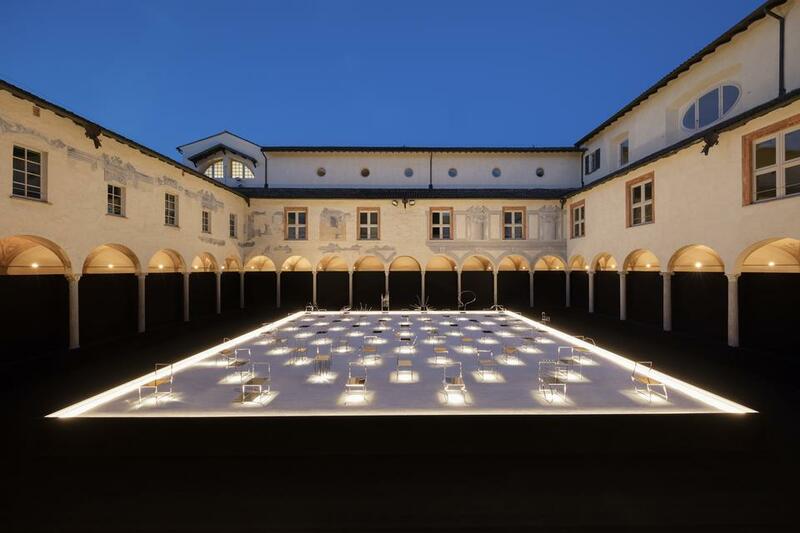 The installation had its European premier at Basilica Minore di San Simpliciano, in conjunction with Salone del Mobile Milano, April 12-17, 2016. 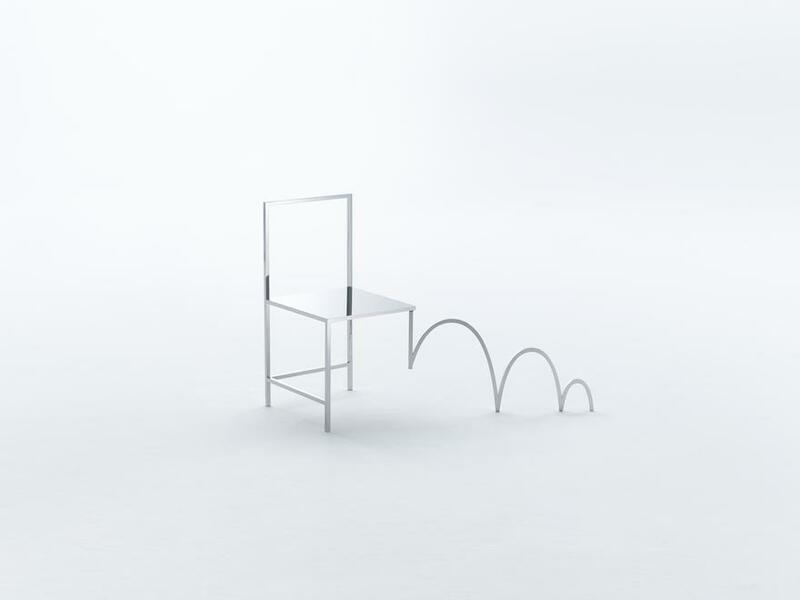 With this exhibition, nendo abstracts archetypes of manga comics. 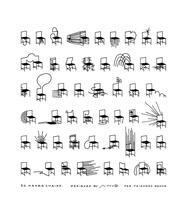 The chairs are happy, distressed, embarrassed, surprised; they leap and bound, zoom past, or slowly slink away. 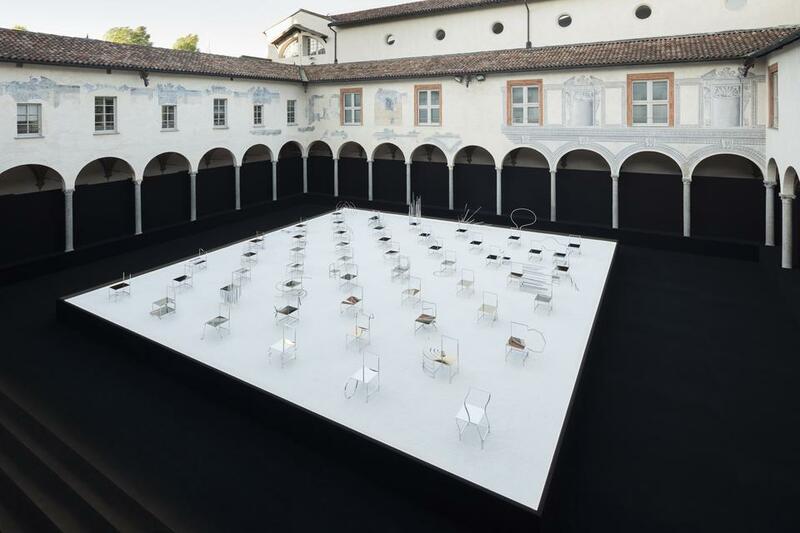 Each chair has its own personality, allowing it to stand on its own or, when placed next to the others, to become part of a collective narrative. 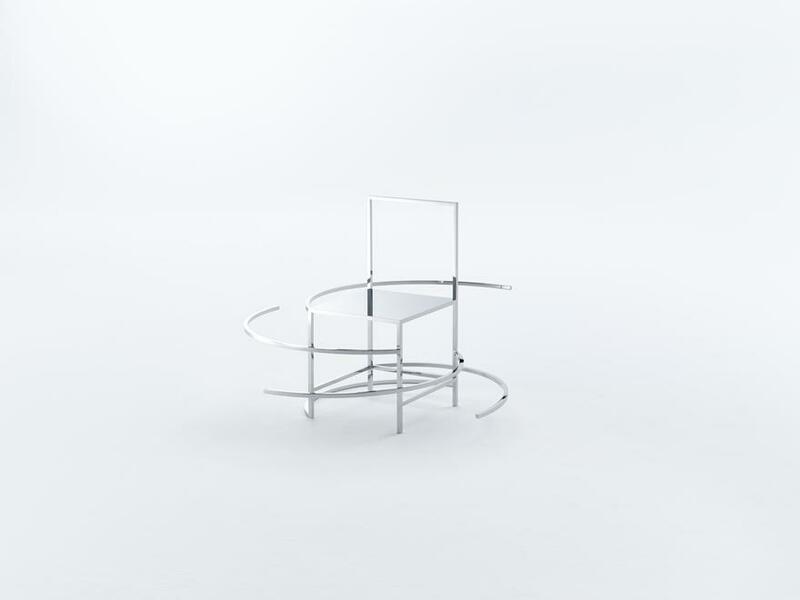 A different configuration creates a different story; the chairs come alive in a symphonious display of nendo’s playful Japanese design. 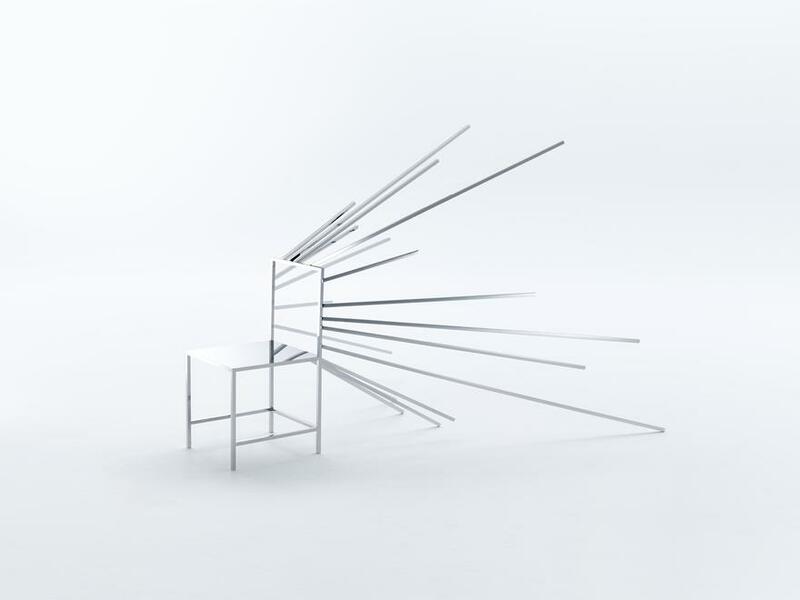 50 Manga Chairs is Friedman Benda’s third solo show with nendo and the Japanese design group’s most ambitious body of work to date. 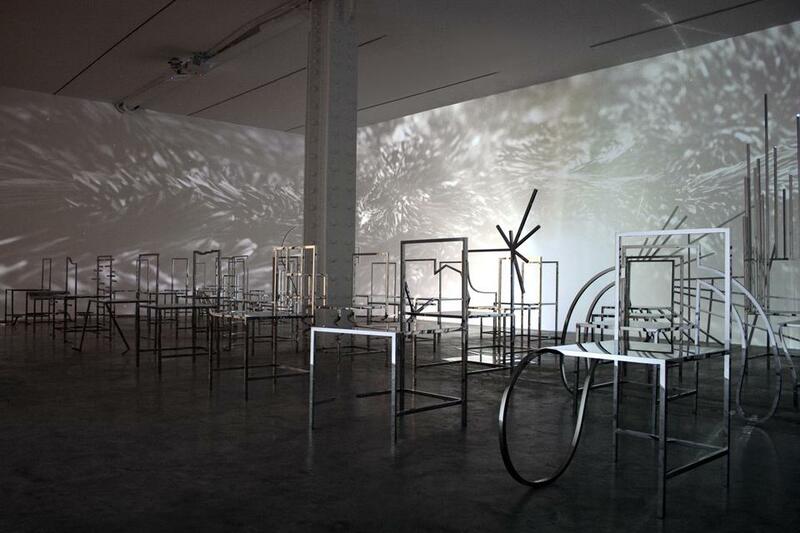 The group’s 2009 New York debut Ghost Stories featured the acclaimed Cabbage Chair, which was initially shown in the groundbreaking exhibition XXIst Century Man at 21_21 Design Site in Tokyo. 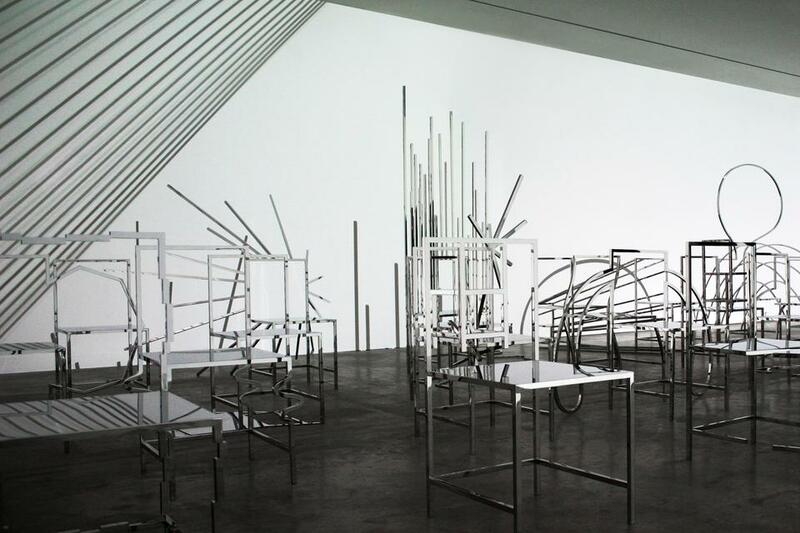 nendo's 2011 exhibition Scatter Shelf toyed with optical illusions and repetitive forms, the idea of structure in space. 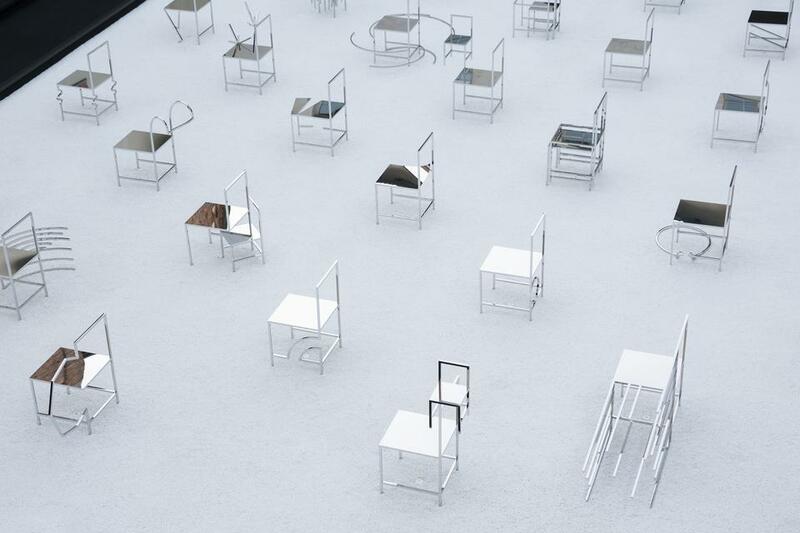 Concurrent with 50 Manga Chairs, nendo's first-ever large-scale retrospective, The Space In Between, will be held at the Design Museum Holon, Israel June 8 – October 30, 2016.